homework essay. introduction. I wrote this essay assignment on 9th Apr in 2014. 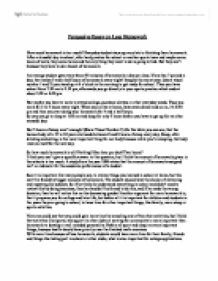 This essay was to right an argument and persuasive essay, using toulmin model that we learned in class. We had to find evidence online, and do the bibliography.